There are tons of cute tea infusers but when comes to herb infusers, there are only a few choices. Personally, I actually don’t mind chewing loose tea leaves but for herbs and spices, honestly I really don’t want to either have a bite nor stick them in my teeth. Hence, having a proper herb infuser is really important for me. Maybe soup is not as fancy as tea, most herb infusers look quite humble. They do do a great job to keep my fresh herbs and whole spices and deliver flavor. But why they can’t just like tea infusers, having many playful and cute designs? After doing some research, I do find several interesting designs and some of them are quite hilarious. From chicken shape to bone shape, from chill shape to cactus shape, if you think they are too funny, I also list some “serious looking” herb infusers at the bottom. 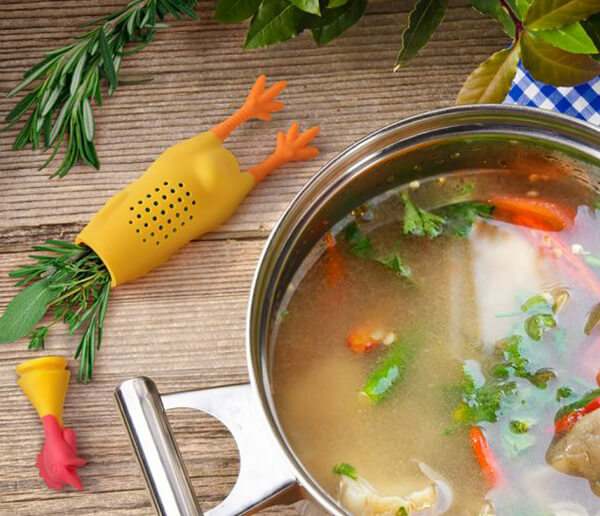 Fill up Fred’s SOUP BONE with fresh herbs and whole spices and deliver flavor as well as laughs! Made of food-grade silicone. 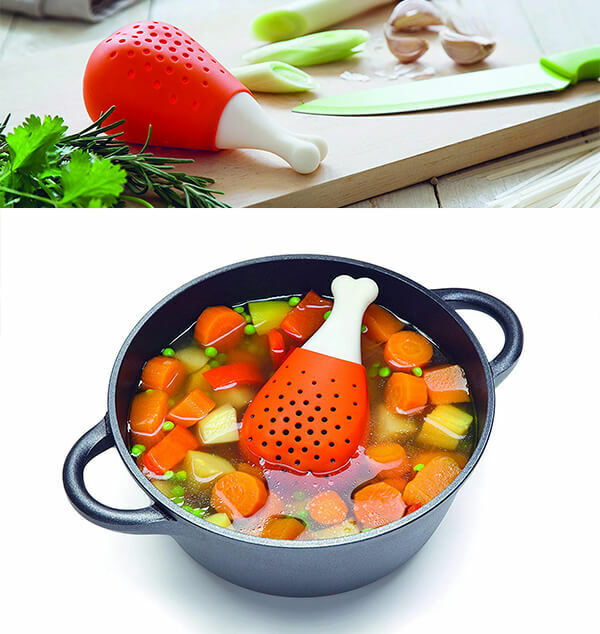 Obviously this Chicken Infuser looks more hilarious than any other traditional and boring infusers, isn’t it? Though it appears as a cute toy, it is very practical for cooking purpose and is able to withstand very high boiling temperatures. It is made of 100% premium durable food grade silicone and is BPA & PVC free. No more parsley in your teeth. Chili will keep your herbs together while adding flavor to your stews. Material used is silicone. Adorable Cactus design is both fun and useful. 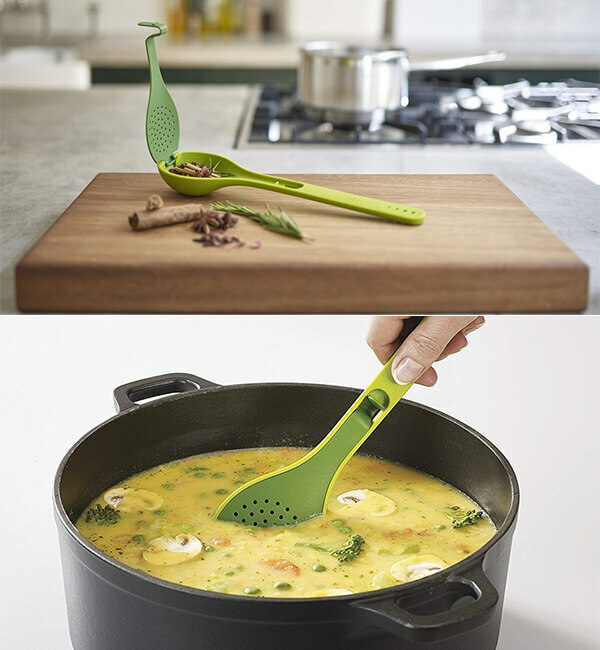 Durable and strong silicone design is great for soups, stews. Measures 3.36 by 5.2 by .7-Inches. 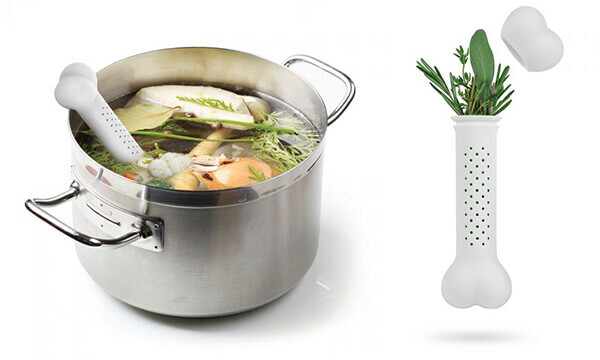 Keeps your herbs together while adding flavors to your stews & soups. Heat resistant and dishwasher safe. Made of 100% food grade silicone. 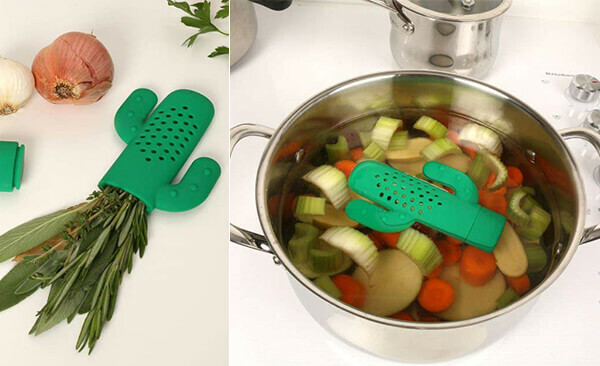 Adding extra flavor to soups, stews and casseroles is now even easier with this handy kitchen utensil. Load the spoon with fresh herbs or whole spices and close the lid and simply stir the flavors in as you cook. Ideal for recipes using whole spices such as cinnamon sticks and dried chilies and cardamom pods that need to be removed before eating. Gusto Spice and Herb Infuser Spoon is also perfect for flavoring pitchers of hot and cold drinks with herbs and spices. 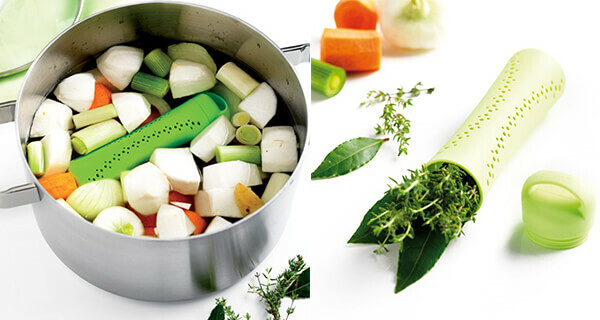 Add fresh flavor to soup and stock with the herb infuser. The 2 sides completely separate for easy filling and then lock back into place. Fill with fresh herbs, garlic, ginger, cloves, etc. and then add to your slow cooker or stock pot. Cleanup couldn’t be easier! Just scoop the herb infuser out of the pot & dispose of the cooked contents. Best of all, no little floating bits in your broth. Try using the Hutzler Herb Infuser when making mulled cider or even mulled wine.